The National Insurance Crime Bureau study began on January 1st 2009 and ran through December 31st 2012, focusing on 2010, 2011 and 2012 model year vehicles so this report is more or less a study of new sporty car thefts. Based on the criteria of this 4 year study, the Chevrolet Camaro is the most stolen sports car in America with 1,509 reported thefts. 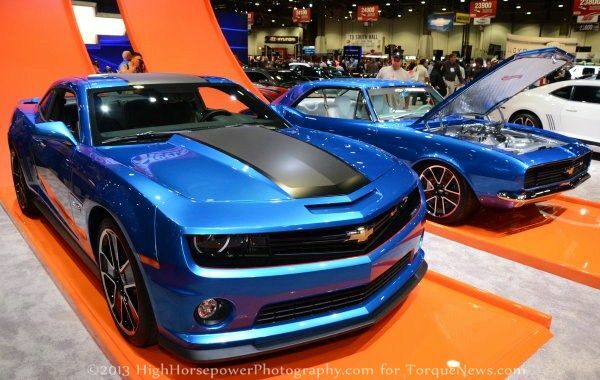 It should be noted that the Camaro was the bestselling sports car in America in 2010, 2011 and 2012 so the Chevy muscle car is statistically more likely to be stolen simply because there are so many more on the road. However, the number of Camaros stolen during the study relative to total sales volume when compared to the other cars on the list is not proportional so the Camaro’s lead in this unfortunate category is due to more than just higher sales volumes – although that does play some part. In other words, the Camaro is more plentiful but they are stolen at a higher rate than the other cars on the list so Camaro owners would be wise to do what they can to protect their bowtie clad muscle car. Next in line was the Ford Mustang with 980 reported thefts during the 4 year study while the Dodge Challenger was third with 782 thefts for 2010-2012 model year vehicles during that time span – positions that shouldn’t come as a huge surprise considering that these are the next bestselling sporty cars in America over the past few years. The Mustang is the second bestselling sporty car in America for 2010, 2011 and 2012 while also being the bestselling sports car in 2009 with the “new” 2010 Camaro having been introduced a couple months into that calendar year. Beyond the three American muscle cars, the list of the most commonly stolen sports cars in America begins to stray from the most popular models in terms of sales volume with the Porsche Panamera ranking 4th and the Audi A5/S5 rounding out the top 5. The Chevrolet Corvette was the 6th most commonly stolen car in American from 2009 through 2012 with 69 units sold. Bill and Ted would be proud. The full list of the most stolen cars in America is available below. In addition to the top 10 most stolen cars in America, the National Insurance Crime Bureau study also looked at the areas around the country where the most sporty cars were stolen. Not surprisingly, California ranked 1st with 764 reported sports car thefts in 2009 through 2012 with Florida 2nd (443), Texas 3rd (381), Georgia 4th (257) and Michigan is 5th (187). Considering that those five states have some of the worst gang problems in the country, it doesn’t come as much of a shock that those areas are the ones where you are most likely to have a nice car stolen. The study also breaks the regional numbers down one step further into metropolitan areas, detailing the specific locations around the US where the most sporty cars are stolen. There were 291 sports cars stolen in the Long Beach California making it the worst place in the country to leave your car unattended but most people could have told you that before this study came out. The Hot-Lanta Georgia was the second worst area in terms of sports car sales with 226 reported thefts and the greater Miami Florida region was third with 208 thefts during the 4 year study. While neither New York or New Jersey were on the state list, the Northern New Jersey/Long Island area was the 4th worst place in the country to keep your sports car with 198 reported thefts and in the Metro Detroit area, Warren/Livonia ranks as the 5th most likely area in the US to have a sports car stolen. What about the new compo camaros. Are they being stolen in long island ny?